With a huge amount of data Google collects from various sources, they have to be privacy conscious. That’s why from time to time, you’ll see a privacy reminder from Google when using their services. ■ Open the browser of your choice, type www.google.com and press Enter. ■ In the bottom-right corner of the page, click Settings. ■ A menu will appear. Click on the Search Help. 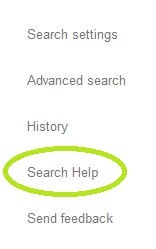 ■ Now, in the upper-left corner of the page, click on the Google logo which will redirect you to the support page. ■ Next, in the search bar, at the top of the page, type “privacy reminder” and press Enter, or click on the small magnifying glass icon. ■ You’ll get various results, so find and click on the Privacy reminder from Google search result (it should be the first one). 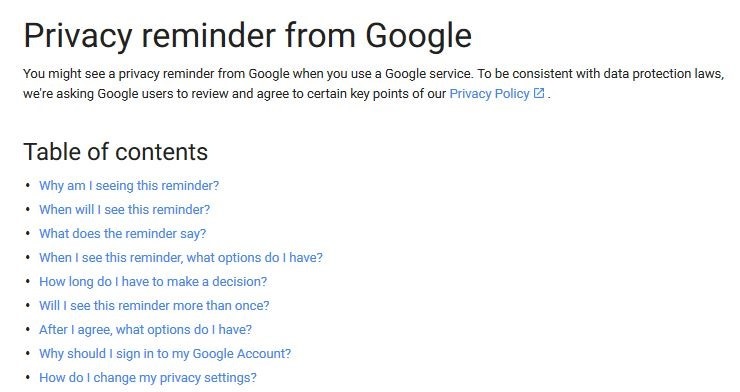 ■ In here, you can find all the info on Google’s privacy reminder. To quickly navigate the page, you can click on blue links in the Table of contents section. Each one will redirect you to the corresponding section. ■ Read everything that you’re interested in and keep in mind that the privacy reminder message will be different depending on if you’re signed in or not.